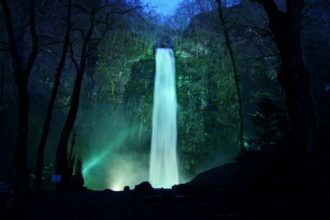 Tamasudare is the biggest plunge waterfall in Yamagata prefecture. 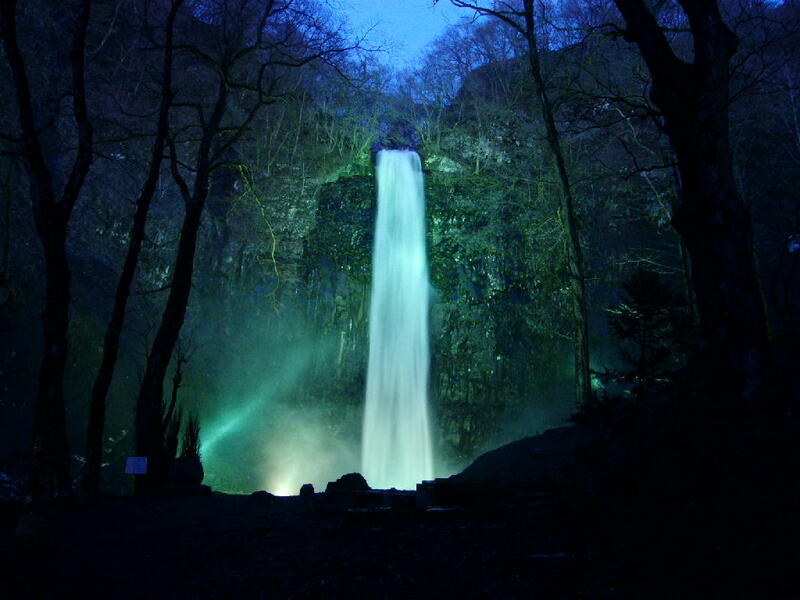 Water falls from a height of 63 m at a width of 5 m. It is lit up for a time in spring and summer, and many people come to enjoy the wondrous view. 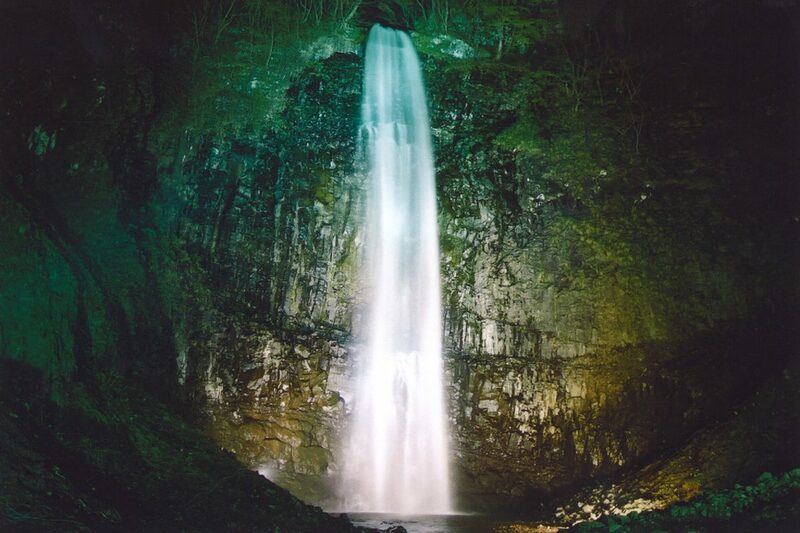 There are large cedar trees in the vicinity, and the waterfall is popular as a “power (energy) spot” because of the abundance of negative ions in the air.The waterfall is an approx. 10-minute walk from the parking area. 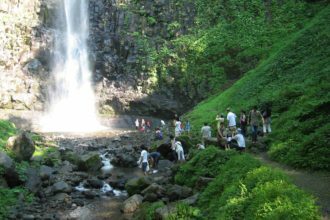 Please wear shoes and clothing appropriate for walking. 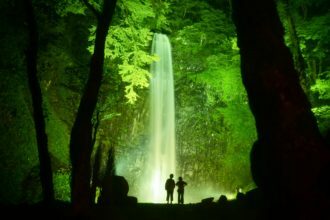 *Tamasudare Waterfall has been chosen as a recommended scenic spot by Yamagata Keikan Monogatari (introduces scenic spots in Yamagata prefecture).